Very Limited Quantity! Get Yours Today. British Style Telephone Booth Air Humidifier. While sleeping at night it is necessary to manta in the moisture of your skin and a humidifier is the best way to do that by increasing the moisture content in the air around you. 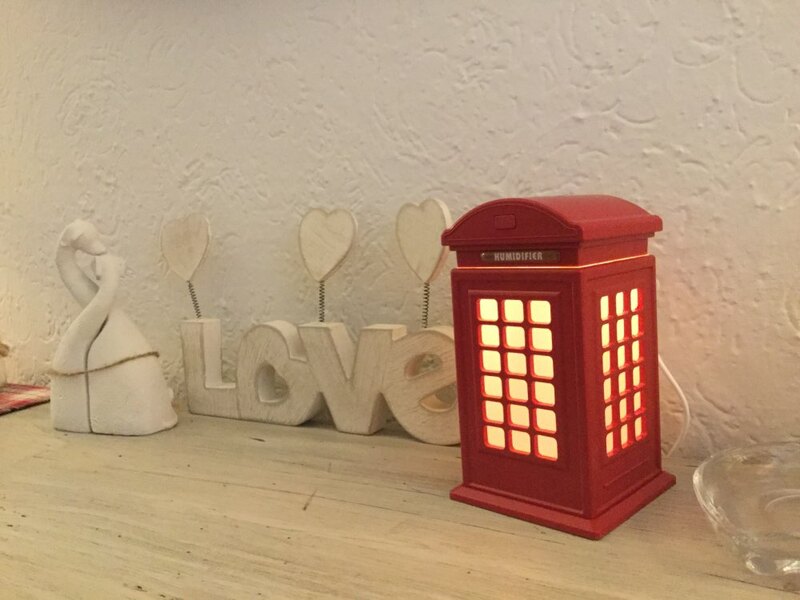 British Telephone Booth Air Humidifier is not only an Air Humidifier but it is also a very beautiful piece of decoration for your bedroom or any other place at your home. The 300ML large water tank will be humidified for nearly 10 hours. There is no need for adding water frequently. 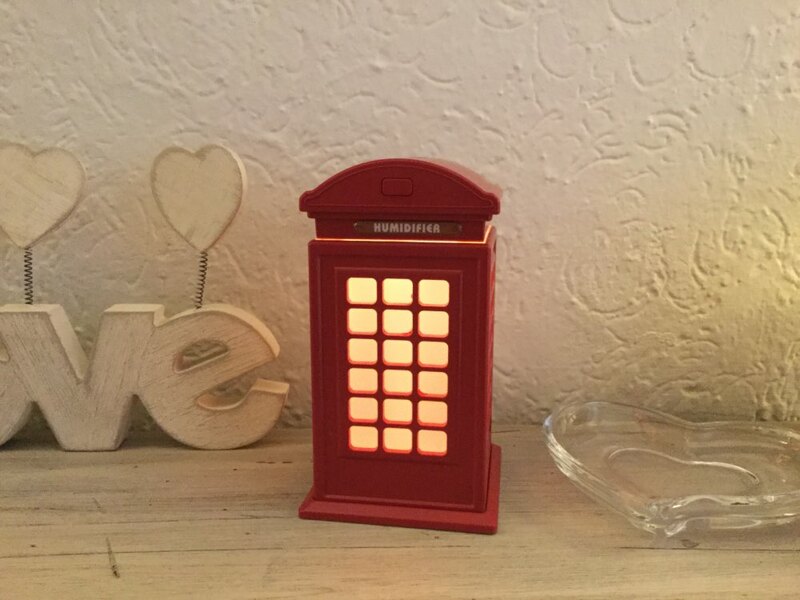 This British Telephone Booth Air Humidifier has an 8 hours intelligent power-off protection and it comes with convenient touch operation switch it has a very simple design, and built-in LED dream night light. British Telephone Booth Air Humidifier has No noise spray. It is a very delicate humidifier that makes people feel calm and they can sleep more easily at night. 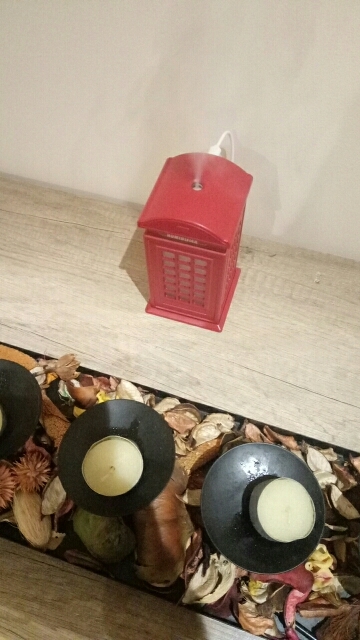 British Telephone Booth Air Humidifier has a very romantic look. Comes with a USB charging cable, operating instructions Manual and a beautiful colorful packaging box. 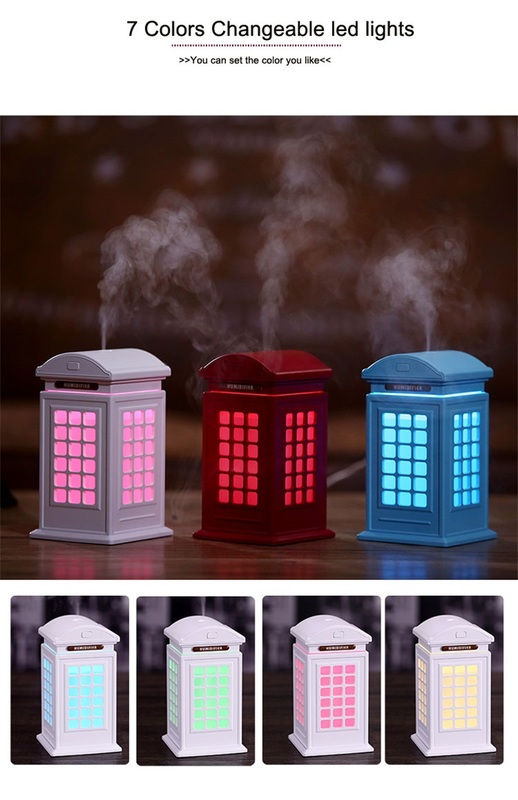 British Telephone Booth Air Humidifier is also a very beautiful piece of decoration. So beautiful, fastest delivery. Works perfectly well and I love it. Thank you so very much to this store, I will buy in this shop again for sure.